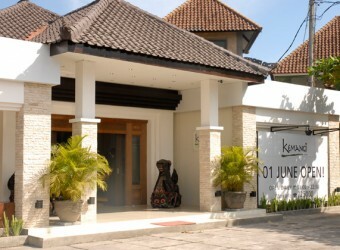 Bali Restaurant Italian restaurant Kemangi licated along By-pass in Kuta to Sanur. The name of Kemangi means" Basil". The restaurant provides a wide range of authentic Italian menu including drinks and sweets. The guests can enjoy the dance from table seats and semi-open air seats.